I confess I self-medicate with chocolate. I often see you like a box of chocolates and I don't know what I'm gonna get from it. My "momma" has never told me that; I remember it from the wonderful movie "Forrest Gump." The truth, my precious Life, is that there have been some delightful bonbons as well as some not so. The yummy ones were easy to swallow; they melted within my mouth as they led a nice earthy taste. Every time when I was lucky to get a sweet delicious flavor of chocolate, I was filled with anticipation, energy, and courage. I felt ready to fly in my colorful dress and high heels which made me tall and beautiful and radiant, and ready... 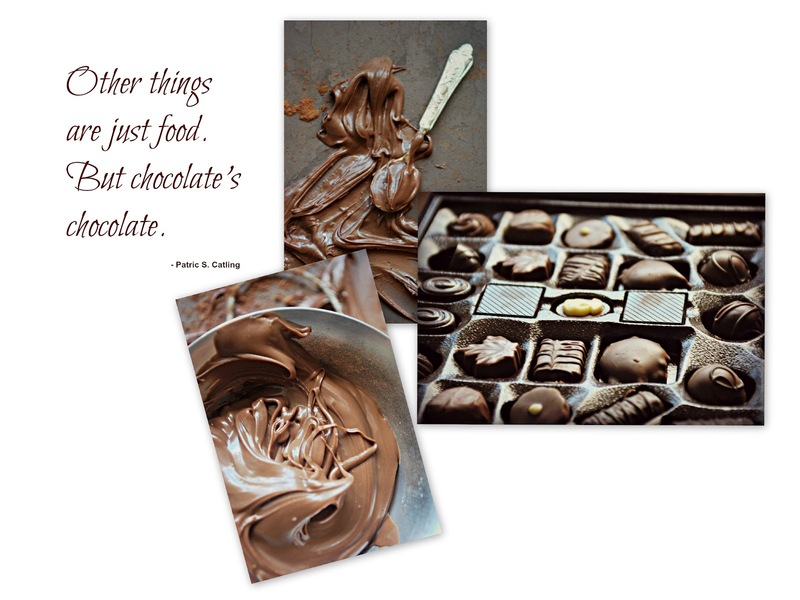 The delightful blend of creamy milk chocolate with vanilla flavor made everything tasty, palpable, adventurous... 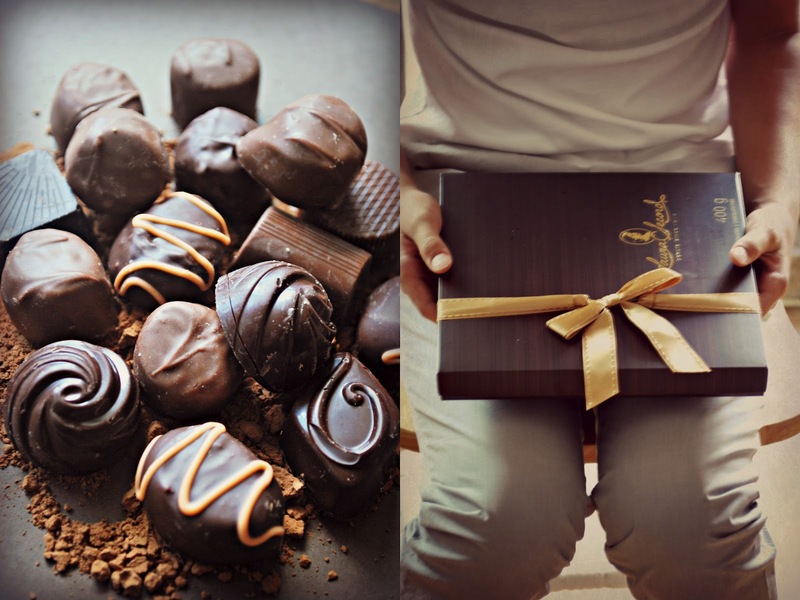 The rich espresso drenched in some of the chocolates awakened my senses as I have noticed the little things and have discovered so much unexpected joy and abundance. I climbed mountains simply to behold the views. I hugged every single person you brought into my life since the creamy, mellow savor in my veins made me egoless, gentle, and full of wonder... How I love those unique experiences! But there were some yucky ones that had been hard to digest. Sometimes the dark chocolate has been so dark and bitter I even forgot it was still my beloved chocolate. I was lost, confused and discouraged as my stomach hurt and my heart was locked in the box. At other times, some nuts in the candies I picked gave me allergic suffering long enough to make me appreciate the sweet, tasty confections more. However, my challenging life, I have learned that the purest dark chocolate was certainly the best chocolate I ever had and it's been good for my heart...and faith. Oh, yes, those yucky days of hardship have determined my character, strengths and my wealth. The beautiful thing about you, dear Life, is the fact that the most difficult challenges are often the most rewarding and satisfying experiences. 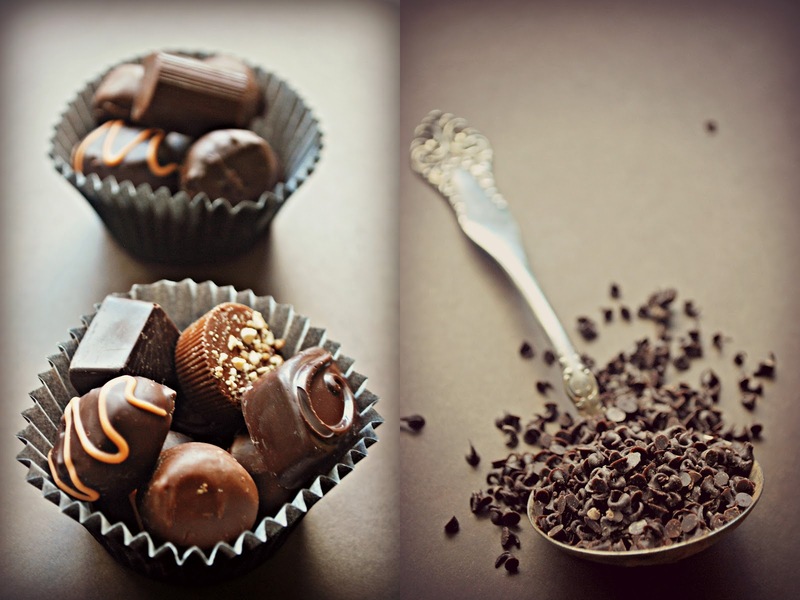 Sweet and sour, chocolate candies are still candies and those who love chocolate love all of them. They are gifts as everything in life is. Every event, experience, and person in my life supported me in being the person I am today. That's why I barely read the assorted selection guide on the box of chocolates. It doesn't mean I have no control over my destiny, it simply shows that I've reached the point in which I like to live life by surprise. Today, to me, you, Life, is not about knowing what's going to happen next. Certainty has been this extra weight killing my sense of awe and wonder. I am gradually accepting the mind of the beginner again - open, curious, free of judgments. The mindset of not knowing makes me humble and able to take any kind of moments and make the best of them. And, perhaps, the most important asset of constantly feeling like a novice has been discovering unknown capabilities of myself. Dark or milk chocolate, with a creamy raspberry center or sour lemon inside, I am willing to eat every and each bonbon in my chocolate box. Dear Life, today I give thanks. Thank you for you, my life, past and present, sweet and bitter, creamy and chewy. Thanks for all the lessons learned and all the others that are coming my way. I am full of gratitude for being alive and being me. P.S. Did I mention, I have a chocolate lab "eating" candies from my "box of chocolate"?! Happy Thanksgiving Day to all of my friends and family in Canada today! I so appreciate all of my followers and readers who found me through blogger or my Facebook page. Thank you for being kind and supportive! 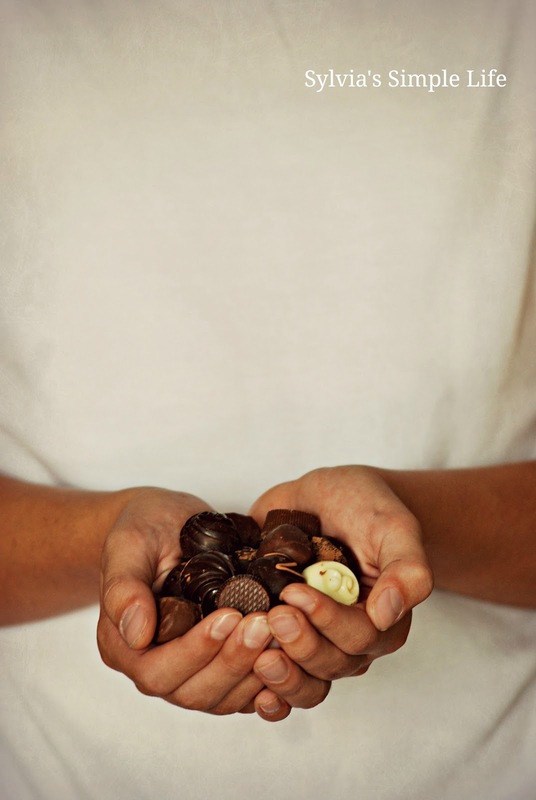 I am a fellow chocoholic (and lover of life). I am grateful too, for the sweet and even for the bittersweet that life has offered! To life! Beautiful post as always and your photos have me drooling. Oh....yum. Must must must have a piece of dark chocolate with almonds every day. It keeps this gal very happy. lol! 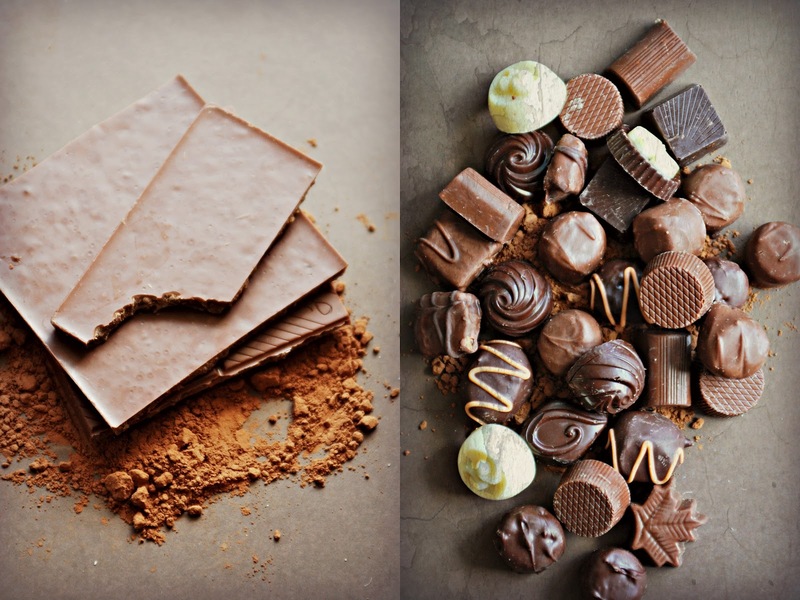 I love chocolate, but who doesn't? I actually have to admit that I love vanilla FIRST and FOREMOST, so I will pick vanilla ice cream over chocolate, any day. My dear friend, I too have been experiencing the "DARK" chocolate in the assortment box of life. I have been very blessed however, and I think YOU TOO, to have been given the sweetest centers....and while most people might spit out the center surprise, I think some others take delight in it...and I have been trying to slow myself down in order to realize that I am in a transition...it is so hard to accept that, especially when you want to see RESULTS. I wish you peace along your path, hope and most of all, LOVE, every step of the way. Thank you for your kind words about my post and my crazy Christmas ornaments!!! Oh, that link you left me....I read it and it has inspired, comforted and CONFIRMED many sentiments I hold as a "writer." I am convinced for now at this stage of my life, that writing is as alive as me...every breath I take as well as every word I stretch, poem I try to create, it is LIVING. Therefore, to be done with gratitude for even having the vision to write and an ounce of ability. Published or not, one MUST WRITE for it is like breathing. You are just so kind and beautiful. AND YES, I am loving my new Canon!!!! What a beautiful post, wise friend...gorgeous writing. May you have a blessed, beautiful week, my dear friend! What a wonderful post! Life is like a box of chocolates. You never know what you're gonna get! Your photos are so yummy and I enjoyed the way you have expressed yourself. Here's to life and chocolate! Take care. Now I must round up some chocolate...your photos...yummy!